EU VC Releases - 13th June - The Last Ninja 2, Alex Kidd and more! After last week's VC disaster, we assume everybody was hoping Nintendo would release an extra large amount of new games this week as some sort of apology. Well, they have chosen to do exactly that, as there's five new games now available! 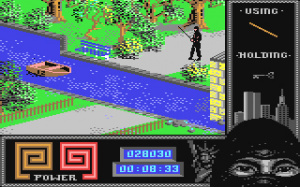 Last Ninja 2: Back with a Vengeance is quite similar to the first game (also on VC), featuring the same isometric gameplay with fighting and puzzles to solve. This time, the action takes place in New York City instead of on a Japanese island. As such, there are more modern threats to deal with. Overall, the game practically only improves on the first, meaning it is quite great! Nebulus is a rather unique little game. You play as a weird creature as you attempt to sink a number of towers into the ocean. This is done by making your way to the top of them, which isn't as easy as it sounds - There's a whole bunch of platforming segments and enemies to overcome. The towers all look as if they're 3D when you move around them, which is really quite a feat for a Commodore 64 game. 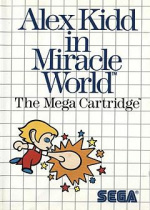 Alex Kidd in Miracle World is the game that Sega's early mascot premiered in! Unfortunately, most would agree that it also turned out to be the best game he ever starred in. That doesn't mean it's just "moderately good", however - It's actually a pretty great game. There is a reason Alex Kidd was so popular! Fatal Fury 2 is, quite obviously, the sequel to Fatal Fury, which is also on VC. 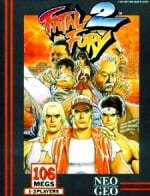 The game builds on what was previously seen in the first Fatal Fury. Gone is the pitiful three character selection; this time you can play as any of the fighters. Terry, Andy and Joe all return, but they’re accompanied by a supporting cast that is packed with variety. 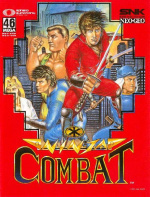 Ninja Combat, much like Burning Fight, was a poor attempt at copying games such as Final Fight and Streets of Rage, and really mediocre at best. Probably best to give this one a miss! We think these five games more than make up for the slap in the face that was last week! Sadly there was no WiiWare update today, but you can always check our sister site WiiWare World to read reviews of the games already out in Europe and Australia. Good week. Would rather have had two or three last week and the rest this week to even things out. Will probably get Alex Kidd this weekend. For the nostalgia. AND ONLY GEEKS AND OTAKU WANT EARTHBOUND AND SUPER MARIO RPG! What an awesome week for the VC in Europe. I'm downloading Nebulus and I might give Alex Kidd a try even though I don't know anything about him or his game series.God what a good week!! Wow. 5 games. We never got an apology week for our no VC week. You big Euro whiners!! @Bass Actually having seen SMRPG now, I dont want it. So just give us Mother 1-3, Ninty. Vc, Ds, I dont care. I never played Alex Kidd before, but here in the states we only have the Genesis version and I don't think that's a good game at all, the Master System one is probably better than the 16 bit version after reading the good comments that the game gets. @Objection Blaster, why did we need an Apology for not having VC games? It was WiiWare Launch, I think its a pretty good excuse for VC to take a week off. Great line up this week with Miracle World (childhood fav) and Fatal Fury 2. Shame we still have no C64 here in OZ and can't enjoy Last Ninja 2. Anyhoo, I think we should forgive Ninty for the horrible past week, for now at least. Pretty good week, I'd probably get Alex Kidd. Why did I buy an American Wii again? I want this update. So yeah, I'm hoping the US gets Alex Kidd and Fatal Fury 2 this Sunday. I'd complain about no C64 for the US still, (actually, I still will. Come on, Nintendo!) but I already own the Last Ninja trilogy, and Nebulus is rather meh. Awesome week! Hope we get a good week as well. unfortunately Americans won't be as fortunate. 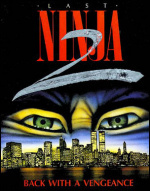 In what format do you already have the last ninja trilogy?? IMO Burning Fight and Ninja Combat are very underated. They're no Streets, but they're better than Altered Beast. There was a compilation disc released in 2005 only available via the UK Retro Gamer Magazine - probably completely impossible to get ahold of nowadays. Wow, Europe gets a terrific week, Australia gets a good week, and America will be left biting the dust on Monday (I actually hope this prediction fails). 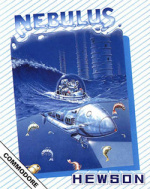 Oh, and just like every week, where are the C64 games, NOA? I'd love to see America get 5 games on Monday. However if they give us some WiiWare game then they use that as an excuse to give us 2 garbage VC games. And what do we have to look foward to here in North America this monday? Probably not much, and certainly no where near the awesomeness of this update. So, um, when are we going to get a nice big update to make up for the fact that we too went without any VC releases for a week, hmm? This is bogus man, just pure bull **. Europeans are no longer allowed to complain, only we are getting the shaft with releases anymore. I dont think we're getting 5 VC games, but if we keep getting 1-2 WiiWare games & 2 VC games every week, I'll be happy! Having to wait 2 weeks for VC and WW releases is going to be hard. 5 games is good for an extension of two weeks (3 one week and 2 the other). For WW 4 is also expected (2 between each week). So from now on, I would expect VC week to have 6 games released and 4 on WW week. Then it would be equivalent in quantity to what weekly releases should be like for both VC and WW at the same time. $100 says that America is going to get shafted on Monday...crap, I remember when I used to look forward to Monday's with anticipation. Now I just dread the updates. Dont ever build expectations from VC-Channel. It will only result in one thing, complaints(even if the games sometimes ARE good, still others WILL complain about their favourites not breaking ground). Bye. This is more like it! Keep up the good work Nintendo! I'd prefer that after Wiiware has launched that there are more Wiiware Games coming to Europe. America has nearly twice as much... Damn you, you 5 must-translate-langauages-into-the-manual of Europe! Yeah, everyone complained about no VC Games, but the only one who is interested seems to be me. Wow! I love Alex Kidd!!!! More Master System Games please!!! Just OMG my predictions were true i knew Alex Kidd would come this week but The Last Ninja 2 and 3 other games this week? I must be in VC heaven. So, WHY THE HELL DON'T AUSSIES GET C64 GAMES!!!! The same reason America doesn't and the same reason Australia wasn't getting Turbo Grafx 16 games. They hate you...wait, wrong script thats the "why hasn't Earthbound come out yet?" script. There have been no distribution deals sorted for the games in those regions. Typically, Europe is the stronghold for C64 games. Maybe if they do really well here then distribution deals will be more lucrative for Australia and America. I love how a week ago, people here hated Nintendo, but NOW everyone's like, "Aww, it's okay! C'mere and let me hug ya! Wub yooo..."
I used to love it and still enjoy it on 2p. My point was though, NC, AB and BF are all 2 Stars games. And IMO some are noticeably better than others. Which makes me wonder why they're all 2 Stars. Only 1 decent-ish game for us aussies, and even that is very dated. I'm still not talking to Nintendo. To change my mind, I need Super PunchOut, Diddy Kong Racing/ Donkey Kong 64 (what? there are already Rare games on the VC), or some more little surprises from the 64. Also an Australian exclusive VC channel would be nice, just so we can rub it in all the rest of your faces. Virtual Boy would do (Complete with 3D glasses) as we never got to get our hands on it the first time round. Apparently the VB had some games that were so awesome that they would make your head hurt. Rad. @Quimby: Why not switching the region of you're Wii? I dont think we're getting 5 VC games, but if we keep getting 1-2 WiiWare games & 2 VC games every week, I'll be happy! More Japanese imports please! Please no more imports that no one has ever heard of. I want Nintendo classics only! And nobody better say try something new, because I've done that and didn't like any of the 20 games that I tried except for the 3 Bonk games. As someone whom hates the Ecco series, I thought 3 was to high a score, lol. IMO Bubble Bobble needs a 5 though. It's just amazing on co-op. But then again, as there's so few co-op games out there, I always rate co-op games highly. Wow five games for Europe that is an excellent week for you guys! I hope the NA gets a good game on Monday but I doubt it. but Europe did. Now that they have had a Zero week, they get five, an "apology week". But we still get 1-3 pieces of crap. Europe is already doing much better than NA on VC and when this happens, its slightly annoying. There is a DS version with a track bulider and Wi-Fi (its not Mario Kart in popularity and probalby a Ghost Town by now) but the game is hampered by forced usage of DS features during race start up*. So, that means no VC version (plus the whole Banjo and Conker thing...). Yeiks, Nebulus IS Castellan*. Consider my mind blown. Oh man, I forgot about Rondo of Blood. Indeed, it used to always make my Mondays so much more bearable, knowing that when I got home, there was going to be at least one great classic for me to download and re-discover. Now, with a couple of exceptions, it just feels like a constant string of disappointment. Still, I'm glad that at least some people are getting good VC releases, even if the States aren't. This is how it should be. Although I'm not picking up any of these titles, the weekly VC update should be around 4-5 games spanning several platforms. Commodore 64 seriously needs to come to the American VC. On another note, was it just me, or does The Last Ninja have a awesome soundtrack? Oh sure, The Last Ninja looks and sounds good, but the gameplay isn't as great. I would prefer Alex The Kidd in Miracle World.